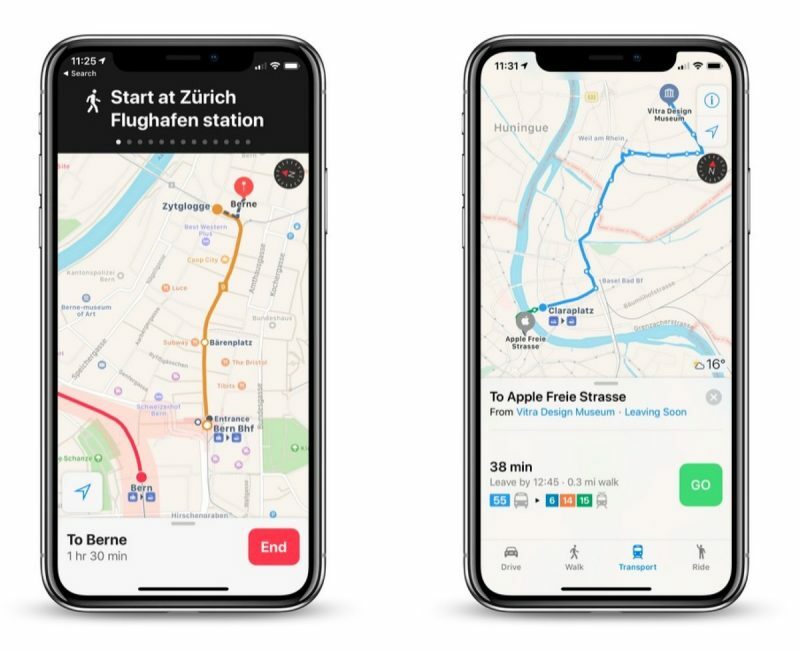 Apple has updated its Maps app to include transit information for Switzerland, including indoor maps for the country's busiest airport in Zurich. Apple has yet to update its official list of locations for which Maps offers Transit data, but several tipsters contacted MacRumors to confirm the information is already live. Switzerland is renowned for its integrated country-wide transport network, and Apple appears to have taken advantage of the Swiss government's open API initiative, making comprehensive data available for all train, tram, bus, and boat, and other funicular connections around the country. Swiss connections to nearby connections abroad also feature in Apple's coverage, while indoor maps for Zurich airport provide location information for passport controls, security checks, toilets, shops, and more. Google Maps has supported transit directions for several years now, but Apple Maps has been adding transit data since 2015 and is steadily catching up with detailed routing information. Yes and it looks very neat! For Geneva, I saw Apple adding/actualising the names of bus and tram stops over the last month, so if you spot them showing up in your area, it is a good sign. I noticed that over the last couple of months they gradually added all stations, bus stops, and their names. Should also be available shortly.